WASHINGTON -- Space is a contested environment, and the United States must deploy new tools, new capabilities and the right leadership to ensure dominance in that environment , Deputy Defense Secretary Patrick M. Shanahan said recently. The deputy secretary spoke Aug. 27 to airmen, civilians and contractors at Los Angeles Air Force Base’s Space and Missile Systems Center in El Segundo, California. The SMC, a subordinate unit of Air Force Space Command, is the center of technical excellence for developing, acquiring, fielding and sustaining military space systems. Shanahan said in his corporate experience, he’s been through a transformation similar to what SMC is undertaking. “The first law of transformation is, do no harm. Our missions are too important. That doesn't mean we don't take calculated risks or we don't move quickly,” he said. “But, from the Pentagon's standpoint we're not going to do harm, and that's why I wanted to come out here and spend some time with you,” the deputy secretary added. “If we don't choose the right technical solution, we lose. This … is about physics. It's about capability. And when you pick the wrong product, no matter how talented the team or how many resources there are, you lose,” Shanahan said. “This is about development and programmatics. Acquisition is a huge enabler, but getting the product right is, in my mind, the most important thing we can do,” he added. “If we're really serious about being combat credible, forward-deployed, you're going to have to operate in GPS-denied environments. We have to get after that capability,” Shanahan added. Command and control at the DoD level will set the foundation to do what's important, Shanahan said. “And whether we say it is the legacy of the SMC or the department, but you know the capability emerging to do persistent surveillance of the globe, the amount of data that we'll be able to collect and parse that in the decision tools to aid the war fighter, that'll create a time constant that is going to be you know, unbeatable,” he added. SCRANTON - The United States Attorney’s Office for the Middle District of Pennsylvania announced today that Justin Bodnar, age 29, of Wilkes-Barre, Pennsylvania, pleaded guilty on August 24, 2018, before U.S. District Court Senior Judge James M. Munley to the charge of unauthorized access to a computer. The maximum penalty under federal law is up to five years in prison, a term of supervised release following imprisonment, and a fine. Under the Federal Sentencing Guidelines, the Judge is also required to consider and weigh a number of factors, including the nature, circumstances and seriousness of the offense; the history and characteristics of the defendant; and the need to punish the defendant, protect the public and provide for the defendant's educational, vocational and medical needs. For these reasons, the statutory maximum penalty for the offense is not an accurate indicator of the potential sentence for a specific defendant. Boston area veterinarian Martha Smith-Blackmore decided to do a fellowship with a medical examiner's office and obtain extra forensic training after she was asked to do an autopsy in a "Puppy Doe" animal cruelty case. Now, Smith-Blackmore and her Forensic Veterinary Investigations business provide consultant services to law enforcement agencies across the United States. The law enforcement division of the Los Angeles County Metropolitan Transportation Authority will install portable body scanners to screen customers for weapons and explosives. The devices, manufactured in the United Kingdom, do full-body screenings of individuals as they walk through the stations. Their detection range is 30 feet with a throughput rate of more than 2,000 individuals every hour. 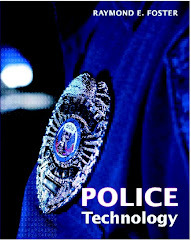 Phoenix Academy in High Point, N.C., is in the process of implementing a gunshot detection system that will integrate with the local police department dispatch system. The device, based on military technology, listens for specific sounds and also tries to detect the light that would come off a fired gun. The Tucson (Ariz.) Police Department recently experimented with using mannequins dressed in police uniforms at key traffic points in an attempt to get drivers to slow down. According to local social media, residents had mixed feelings about the idea. North Dakota's Project Standup, an existing tipline previously used to submit drug-related reports to police, has expanded to include threats of school violence. With the start of the school year, school resource officers and school administrators have been given access to the system, which is privately funded. The 50th Precinct of the New York Police Department, located in Riverdale, has received a $100,000 grant expand an existing anti-auto theft "bait car" program. The program uses plainclothes officers and bait cars in areas plagued by high auto crime. The grant will pay for two cars, cameras and a surveillance van. The police department in Ambridge, Pa., has donated ballistic-resistant vests worn by short-term officers who left the department to the local fire department. Although the vests were not custom fitted for the firefighters, they can be worn, if needed, by individuals with similar body types. Previously, the vests sat unused at the police department after the officers left. The Emergency Animal Response Service (EARS) of Connecticut has donated 100 K-9 medical kits to local police departments, in addition to creating a K-9 critical care program. More donations are planned for the immediate future. The Santa Ana (Calif.) Police Department is one of three in the country participating in a free eight-month beta test of new firearms simulation training that uses five screens to create an experience that almost totally surrounds the trainee. The new system allows officers to be trained to look to the sides and behind them instead of playing to a single video screen located in front. The scenarios emphasize de-escalation tactics as well as firearms training. In Springfield, Mo., law enforcement officers now use mobile tablet technology to connect themselves with local mental health services for assistance when encountering an individual in crisis. A significant portion of all emergency calls involve an individual who is experiencing a mental health crisis. Heart Saver, a program out of Deaconess Hospital in Warrick County, Ind., has donated a total of 11 AEDs to the Warrick County Sheriff's Department and the Chandler Police Department. The law enforcement agencies will place the devices in patrol cars to assist with lifesaving efforts. When the Nevada Department of Motor Vehicles decided to stop an overhaul of its computing system, the Nevada Board of Examiners voted to allow the Department of Corrections to purchase the unused equipment at a bargain price of $158,000. The equipment, valued in excess of several million dollars, will help create redundancy to keep correctional facilities up and running in the event of a network outage. This article examines the issues surrounding increased use of electronic monitoring as part of the move to introduce sentencing reform and reduce jail populations. Earlier in 2018, Philadelphia opted out of a contract to create a new inmate tracking system for the city, racking up a $5.6 million loss with nothing to show for it. The project is one of at least five major modernization projects affected by major delays, cost overruns or cancellation. In the meantime, the city continues to use an outdated system originally developed in the 1990s. This article features an interview with Kenyatta Leal, a successful graduate of The Last Mile program in the California correctional system. The program teaches inmates to code and prepares them for technology industry jobs in an attempt to reduce recidivism. This opinion piece examines the issues created when correctional systems turn their GPS monitoring programs over to for-profit companies. High-profile Kentucky Murder Led to New Domestic Violence Law. It's Not Being Used. A 2010 Kentucky law that expanded the use of GPS monitoring to alert domestic violence victims when their past attackers were nearby has seldom been used. Judges seem reluctant to use the law because guidelines on its use are vague, said the attorney who sponsored the legislation as then-House Speaker.